Blogging is an amazing way for a stay at home mom to make extra money. Or for any individual to make an income as a side hustle. The best part of blogging is you can start a money making blog in under 30 minutes. No coding required. Share your voice and your ideas with the world. Start blogging today. The baby steps of blogging. Blogging is a journey, a business not a race. 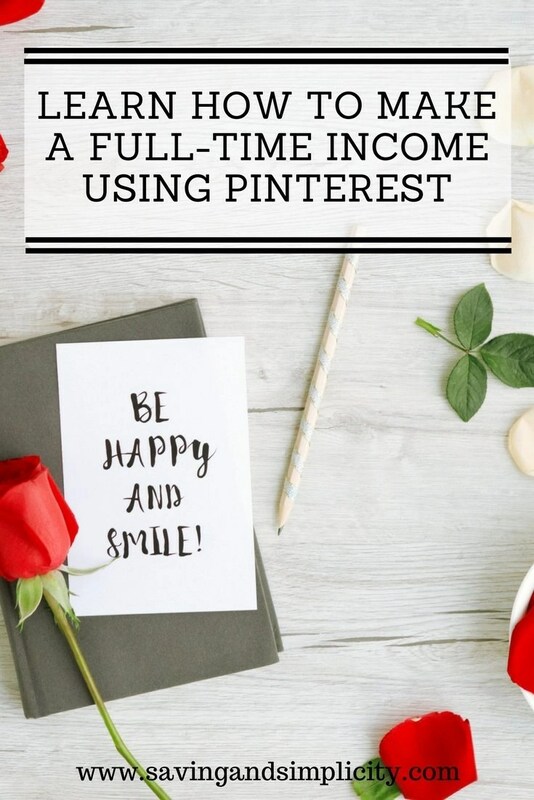 You can blog part-time or full-time and still make a great income. Initially, I started blogging part-time to make some extra money to help pay for groceries and maybe, just maybe a weekend away. Now I make way more than I imagined. In the beginning it was a struggle… I had so much to learn. The best resources for taking your blog to the next level. Where do you turn when you want to learn everything about blogging from one of the most knowledgeable sources? Elite Blog Academy that is where. Elite Blog Academy was developed by Ruth Soukup to teach bloggers how to take their blogs to the next level. You learn step by step how to start a blog, perfecting your vision and your voice. All while learning who your perfect audience is. Who will respond to your message? You learn about social platforms and expanding your blog reach. Elite Blog Academy will also teach you how to monetize your blog. How to create a money making blog with multiple levels of income. Elite Blog Academy is an online course offered only once a year with limited entry. The course is taken at your own pace lesson, by lesson. Full of easy to follow videos, worksheets, Q&A’s and so much more. This course is a must for any blogger wanting to take their blog to the next level. You can checkout Elite Blog Academy here. Make sure you get on the list so you know when the next course opening is. Space is limited. Pinterest is social media, digital advertising, search engine and idea board all rolled into one. It is simply the best platform for getting your blog noticed. I have personally found that 75% of my blog traffic comes from Pinterest. Which is HUGE. If you can be successful on Pinterest your blog will see the success and pageview traffic from your efforts. With traffic comes more income. Pinterest Presence is a course developed by a Pinterest Expert. You are shown how to start a Pinterest business account. How to develop eye catching, appealing clickable pins. You are taught how to schedule and pin for the best viewing results. Learning Pinterest from a Pinterest Expert is a must. It will change the outcome of your blog. Pinterest Presence can teach you how to increase your pageviews which will in turn increase your income. You can checkout Pinterest Presence here. Affiliate marketing is a large portion of blogging income for some bloggers. Affiliate marketing is talking/blogging about products you use and enjoy and offering them to your reader so they can have an opportunity to try them. You do this by linking through your blog, social network or newsletters. Making Sense of Affiliate Marketing takes all the complication out of affiliate marketing and teaches you how to make more money. No more pushy sales. You are taught to relate to your audience and fill their need. Making Sense of Affiliate Marketing will help you monetize your blog and help you earn an income while working from home. You can checkout Making Sense of Affiliate Marketing here. How I took my blog from making less than $10 a month to making $10,000. I took each of the courses above and took my time learning each lesson. I also found my unique voice and my perfect audience. Blogging is not for the faint of heart. Blogging and building a money making blog takes time, perseverance, constant tweaking and updating. You are always learning something new. Investing in you is an important part of blogging. Taking new courses, reading new books like this one. I would blog into the wee hours of the morning while my family slept. And yes, there were some nights I just wanted to toss it all in and say I can’t do this. There are still days I think about packing it all in. But the benefits of blogging and working full-time have paid off. I started blogging part-time. I learned how to blog. I took courses to help further my voice. I struggled through the hiccups and oh there were hiccups. I blog about a subject I love. Saving money and living well on less. I also make money working from home. I blog about 10-15 hours a week around my family’s schedule. Social media and blogging will always change and be prepared to put the time in. Service your reader. Provide your reader with information, skills, products and knowledge. Your reader is your audience. Without an audience you have no income. Write great posts, full of quality material that answers questions and serves a purpose. Have fun, enjoy the ride. The world is full of great blogs and amazing bloggers. Strive to be one and introduce yourself to a few. Make friends. Blogging is an amazing community. Have you though about it? Wondered about it? How exactly do bloggers create blogs and make an income? The answer is real simple. It takes some creativity, some time and a whole lot of your own unique voice. And yes it is possible to make money from home. I am living proof! I have been blogging part time for just over 2 years now and make money from home while I take care of my family. And you don’t need to be all technical and know code and stuff. Creating a blog is real easy. In fact, you could have one up and running today! Second, you need the WordPress platform so you can create and control your blog. This is where you will write and publish posts. This is where the creativity happens. Third, you need your WordPress Theme, your blog design. You want your blog theme to be inviting and fit with what you are going to write about. Fourth, you need Web Hosting, your own little place of the worldwide web. A place for your blog to call home. My blog uses SiteGround. Honestly, every blogger will give you a different answer as there are a variety of different hosting companies out there. I started with one hosting company and thought they were great until my pageviews (important) started dropping and the technical department gave me the run around. So, I switched to SiteGround after a recommendation from one of my blogging mentors and I have never looked back. I love the service and simpleness of SiteGround. If you have a question they answer it. No passing you to this department and then that department. And blog setup was easy! You can get everything with SiteGround. Your domain name, WordPress, your WordPress Theme and of course hosting. SiteGround is your one stop blogging shop. Yes! I make money blogging, so do lots of others. There are even six figure bloggers out there. Some bloggers make money through affiliate marketing. Where they suggest or talk about products they love and use and in turn make a commission on the sale of goods. Other bloggers create their own products and courses and make an amazing income in doing so. You can also make money through sponsored posts and advertising placement on your blog. I make a great income through an advertising network company who places advertisements on my blog. But when it comes to making money with your blog, the sky is the limit. I have heard about people who sell art and physical products as well as courses. If you are servicing your audience with products they need you will create an income from your blog. Starting a blog with SiteGround. Head over to SiteGround and select the right hosting plan for your needs. If you are just starting a blog, go with the basic and most cost effective plan. You can always upgrade at any time. You will need to choose your domain name. Make sure to pick a name that stands out, one your audience will remember. Now all you need to do is review the information. Enter in your personal data and form of payment and you are ready to start blogging. You are almost ready to start blogging…..
You have chosen your domain name and signed up for SiteGround hosting now you need to install WordPress and choose your theme. Sign into your SiteGround account using the information you received in your introductory email. Once you sign in for the first time it will ask you if you want to start a new website. Select start a new website and select WordPress. Next, you will be asked to create your WordPress login information and password then hit the confirm button. Another screen will pop up listing enhancements and other choices. Choose the options most applicable to you and hit complete setup. Now it is time to choose your theme. Once you sign into your WordPress account go to Appearance > Themes and click on one of the “included” themes in your package. Or if you are looking to purchase a new theme from a design company follow their specific installation instructions. Once your theme is installed you can add all your personal touches and creativity. You can change colors, fonts and images. You can really make your blog your own. Once you have created the foundation to your blog and have it looking the way you want you can start writing amazing content. What do I mean by amazing content? I mean great thought provoking topics and ideas. Blog posts that solve problems and help your ideal reader. This is where you showcase your talents and your skills. DO NOT copy a post from another blogger and present it as your own! The key to being a successful blogger is having your own unique spin on information. Present it in a way that makes you unique and has your reader coming back for more. Blogging is not a race. It is a journey and one that should be unique to you. Do not compare your first few months to that of a seasoned blogger. In fact do not compare yourself at all. Write a few posts, find your voice, figure out what topics you want to write about. The more you write the better you will get and the more successful you will be. If you are looking to take your blog beyond the beginner stage and create a money making blog I recommend taking Elite Blog Academy. It is one course that made a huge difference in the success of my blogs and showed me the blueprint to blogging success. It is a must take. One course made all the difference. I have made over $10,000 this year blogging. Never in a million years did I think that was possible. Anything is possible with the right tools. Like I said I started blogging to be more accountable for the money we were spending. To share how frugal living was helping us save money. I though I may be able to make maybe a couple of hundred dollars to help pay for groceries or to help pay down some bills. I never thought I would be where I am today. The right tools and the right course helped get me here. Elite Blog Academy helped show me the right steps to take my hobby blog to a money making blog. And I have to say it has been amazing. I have learned so much in such a short amount of time. I have met so many amazing people. Bloggers are a community who inspire and help each other. In the beginning I wasn’t sure of what the right tools were. When you are new to the blogging world it can be overwhelming. There is so much to learn. So much to do. At first I thought I got it right, but I had my blog structure all wrong. I by chance had found Elite Blog Academy in one of my blog education searches and I signed up for as many free products EBA had available. I also ordered How To Blog For Profit which is written by the Elite Blog Academy Founder Ruth Soukup. In the beginning I wasn’t making any money so investing money into blogging was hard to justify. How do you spend money you don’t have? I read review, after review. I googled who had taken Elite Blog Academy and noticed all the success they were having. So after weighing all the pros and cons I figured out that taking Elite Blog Academy was my best choice. I can’t even begin to tell you how glad I am that I took this course. So much amazing stuff has happened since I took this course. My blog went from a hobby blog to a business because of what I learned at Elite Blog Academy. First you get a community of like minded bloggers that aren’t there to one up you. You get a community of bloggers who help each other. Everyone has their own unique gift and you help each other shine. You also get to learn how to blog the right way from someone who has been blogging for years. Someone who has seen the bumps and the hardships of blogging and knows that there is a silver lining. You will learn amazing blogging do’s and don’ts from Ruth Soukup the founder of Elite Blog Academy and she knows her stuff. Elite Blog Academy is only offered once a year in February and enrollment is limited. If you want to get on the waiting list for Elite Blog Academy I suggest you do it now. As it is only offered once a year and enrollment is limited. Access to the course it on a first come first serve basis. You can sign up for the Elite Blog Academy Waiting List here. You can sign up, put your name on the waiting list while you learn more about the course and take advantage of all the blogging freebies you get while you wait. For example The Goal Setting Workbook For Bloggers. Learn to work smarter, not harder to reach your goals. The goal setting workbook is the perfect tool to help you take your time back and clarify what is most important. You can have both family time and a profitable blog. If you are looking for one course to help you take your hobby blog to a money making blog Elite Blog Academy is that course. You can learn more about Elite Blog Academy here. Pinterest is this amazing search engine full of online articles relating to just about everything. You can find articles on frugal living, or time saving crockpot recipes. You can find DIY home decorating how to’s on Pinterest. Pinterest is this amazing collection of information all at your fingertips. What makes Pinterest different from all other online search engines is the “pins” or graphics that appeal to the viewer. These pins are linked to articles or blog posts referencing what the viewer is looking for. Such as this pin goes to a very popular post on frugal living. Pinterest drives traffic and revenue. Pinterest pins and links drive traffic and revenue for bloggers and businesses a like. Creating the perfect pin to attract the right reader is a skill. One that is in high demand. Having that perfect pin go viral for a blogger or business could mean an increase in traffic, an increase in business or an increase in revenue. All of these things could mean a Mom Blogger gets to stay home and raise her family or earn extra money to help with the bills. Are you a Mom Blogger or a Mom looking for the opportunity to make extra money from home? If you answered yes. Then I have this amazing opportunity to tell you about. Like I have said previously, Pinterest pins are the creatively crafted digital images that direct viewers to a blog post or article. These pins are created by a blogger or a Pinterest Virtual Assistant. And the most in demand job right now is that of a Pinterest Va or a Pinterest Virtual Assistant. Wouldn’t it be great to work from home during the hours of your choosing designing pins and working on Pinterest. Many Pinterest Virtual Assistants are earning between $25 – $50+ an hour. These positions are so high in demand by blogs, online business, brick and mortar shops. There is a shortage of Pinterest Va’s. You have the opportunity to learn a new skill, provide for your family, pay down your debt, save up for something special. Become a Pinterest Va Today! covers all the bases that you need to know if you want to start a new freelance career. You will also get a workbook that will walk you through and help you take action in your learning. If you have ever thought about or dreamed about starting your own business now is the time. Pinterest Virtual Assistants are in high demand. Don’t miss out. Click here to find out more on Becoming a Pinterest Va Today! Bloggers do you want to master Pinterest? To drive traffic to your website and increase growth and profitability? If you do checkout Pinterest Presence. Learn how to perfect your pins, how to use SEO to attract your audience. Gain traffic and grow your blog and your income. Click here to learn more about Pinterest Presence.